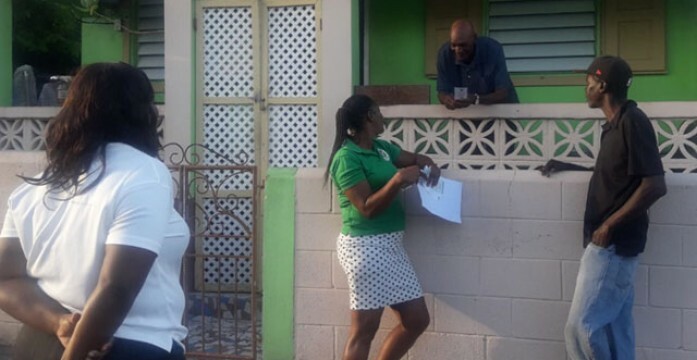 The Solid Waste Management Corporation (SWMC) visited residents of Newtown, Ponds Pasture and Ponds Extension last week to get their cooperation in assisting the garbage collection team visiting these areas. SWMC Collections Manager Inita Lake explained that the roadways in these communities are very narrow, and that it is difficult for the garbage trucks to maneuver these roads when vehicles are parked along the pathways. “The problem is that resident park their vehicles on the street causing the trucks to have problems maneuvering in those areas…there are also vehicles that are derelict that cannot be moved and so the trucks do not go in these areas to pick up the garbage once there is a problem,” she said. 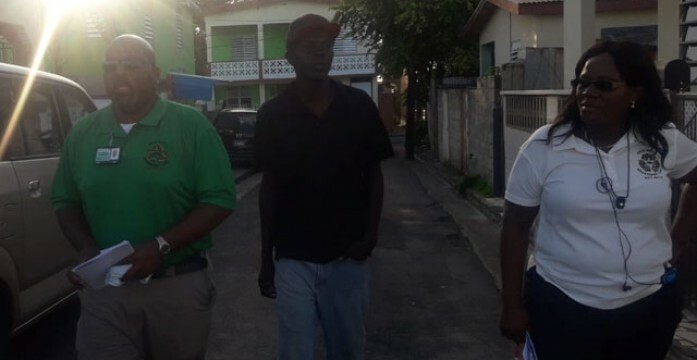 “So we now are trying to go out in the area and ask persons to remove their vehicle. At least park them at one side of the street until the collection period is over,” Ms. Lake added. The SWMC Collections Manager noted that cooperation is necessary to allow especially the new garbage trucks to service these communities. This is because the new trucks are slightly larger than the older ones. “This make it more difficult to go into those areas with vehicles (badly) parked,” she said. We try to service the people, that is why we are asking people to work with us,” Ms. Lake added. Meanwhile, Ms. Lake is suggesting that persons park their vehicles along the curb of the sidewalk or in a garage if they have one. “At least park on one side of the street, just for a few hours or if they have a garage, park their vehicles in the garage,” she said. “We have to collect the garbage and so it’s not fair for some people to be stubborn and decide they are not moving because it’s going to affect the whole street.” She further explained that failure to get passage through those roadways will result in the team not collecting garbage on that entire street. The SWMC Collections Manager said that the aim is not only to facilitate an easier collection of garbage, but also to avoid the trucks form colliding with parked vehicles in these communities.